I am here on your right, with a friend Carole on your left. This photo is from last year market. 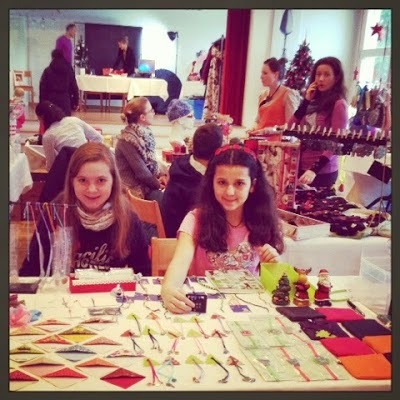 I had a lot of fun selling my hand made different types of bookmarks. This year I am making more and also I am going to have some beautiful cardboxes from: PaperCandy.